Terrace, BC – A group of leading Liquefied Natural Gas (LNG) proponents today were joined by First Nations, Mayors, Councilors and community members from around northwest B.C. to officially launch the BC LNG Alliance, a new industry organization dedicated to fostering the growth of a safe, environmentally responsible and globally competitive LNG industry in British Columbia and Canada. “The BC LNG Alliance has come together with a shared commitment to develop what is a rare opportunity for British Columbia: a new industry that has the economic potential to create billions in new investment, thousands of new jobs and meaningful partnerships with First Nations,” said Rod Maier, BC LNG Alliance Board Chair and Manager of External Relations for Chevron Canada’s Kitimat LNG project. The projects proposed by the Alliance’s members could constitute the largest investment ever seen in British Columbia. Together the Alliance’s members’ six projects represent a total potential investment in the tens of billions of dollars for the liquefaction plants alone. Investments in pipelines and upstream production facilities will add billions more to the total. On average, up to 4,000 new jobs could be created to construct each large-scale LNG plant, while thousands of new permanent jobs would be required to operate the plants and support the industry. When operational, the plants could provide new revenues to all levels of government that may well run into the billions every year. As part of its mandate, the Alliance will engage with all levels of government, including First Nations, to ensure the industry can reach its full potential. “In developing a new industry there are always challenges. Fortunately, none of these challenges are insurmountable,” said Keane. 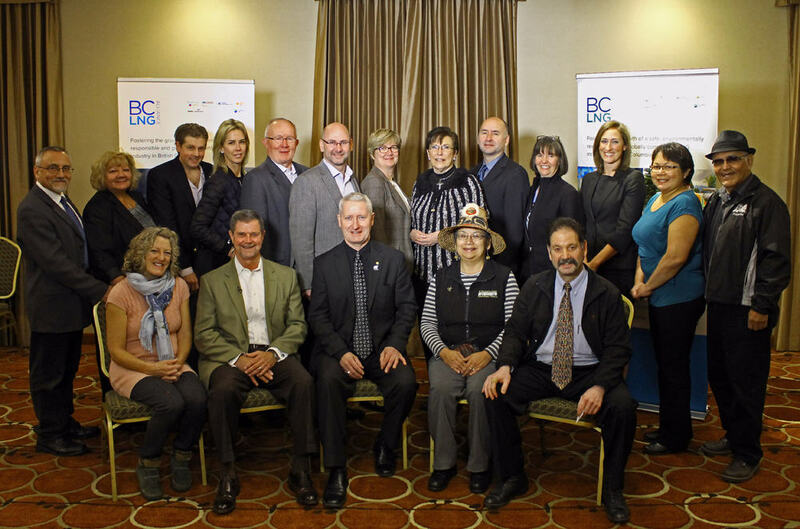 The Alliance is taking an active role in helping ensure B.C. has a skilled workforce to build the province’s new LNG industry. As Vice-Chair of the Executive Committee of the Premier’s LNG Working Group, David Keane is working with the provincial government, First Nations, labour and the province’s postsecondary institutions to create skills and trades training opportunities to ensure British Columbians are first in line for new LNG-related job opportunities. Alliance members bring decades of experience, insight and best environmental practices in LNG to British Columbia. “Our members are committed to developing an LNG industry that is safe and environmentally responsible, an industry that British Columbians can be proud of,” said Keane. The BC LNG Alliance will provide British Columbians with reliable information on LNG, the industry’s operations and best practices as well as engage with, listen to and address the questions and concerns of communities, First Nations and stakeholders. To this end, the Alliance plans to tour northern B.C. communities in the coming months and into 2015, with stops in the Interior and Lower Mainland. The new Alliance website, www.bclnga.ca and @bclnga Twitter feed will act as a central hub for information about LNG while providing opportunities for public input to the Alliance. The BC LNG Alliance includes: Kitimat LNG (Chevron Canada and Apache Canada Ltd.); LNG Canada (Shell Canada Energy, PetroChina, KOGAS and Mitsubishi Corporation); Pacific NorthWest LNG (PETRONAS, JAPEX, Indian Oil Corporation, Sinopec and PetroleumBRUNEI); Prince Rupert LNG (BG Group); Triton LNG (AltaGas and Idemitsu Canada) and Woodfibre LNG. Few jurisdictions are given an opportunity like BC has with LNG and we're pleased the Alliance is now up and running. We worked with David Keane on the Premier’s LNG Working Group and saw first-hand his commitment to ensure British Columbians are first to realize the jobs and economic benefits that LNG offers our province. The people of Northwest BC see great opportunity in LNG, and I see the BC LNG Alliance as a further demonstration of the industry growing and evolving. First Nations have a strong role to play in BC’s LNG industry through new business opportunities, partnerships or new training opportunities and long-term jobs for our people, especially our youth. We’re pleased the BC LNG Alliance has been launched and we look forward to working with David Keane to enhance our participation in the industry.